With Easter being a handful of days away only, I thought I would share some of the DIY Easter egg ideas I prepared for Style at Home this year. After long work week, I can't think of many more relaxing activities than spending a few hours doing something creative. 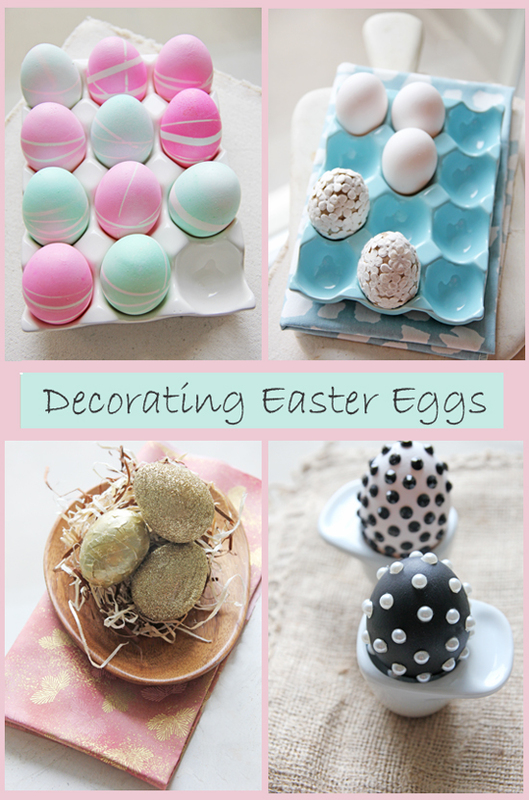 These eggs all use different simple decorating techniques (using paint, stickers, glitter and tape) and are perfect to make with children or to prepare as decorations for a fancy Easter dinner. Patterned Easter Eggs: These eggs are made using rubber brands. Add a couple rubber bands - as securely as possible - to each egg and add to the coloured dye of your choice. Remove from the dye and leave to dry. Once completely dry, remove the rubber bands to reveal your pattern. Flowery Easter Eggs: Add a dab of all-purpose glue to paper flowers and secure to the egg. Golden Easter Eggs: To make the glittery eggs, add gold glitter to a resealable plastic bag. Add an even layer of all-purpose glue to the surface of an egg and add to the bag. Securely close and shake the bag making sure the glitter evenly coats the egg. Remove excess and set to dry. 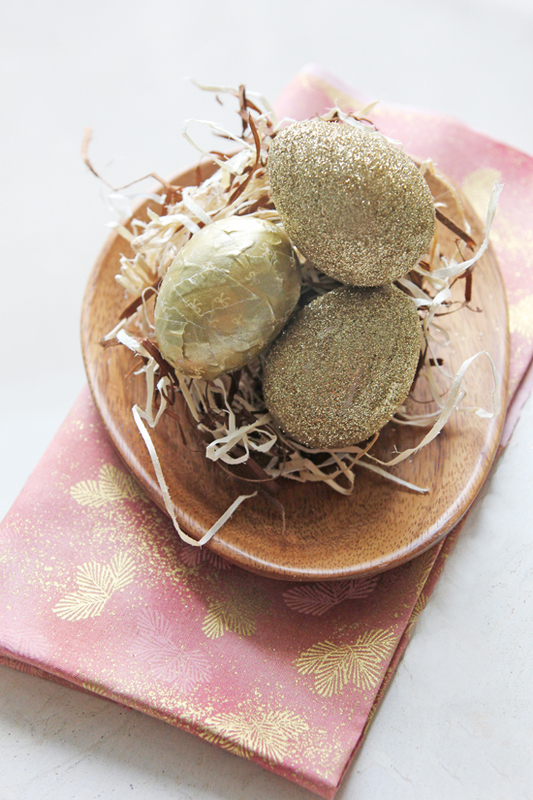 For the other golden eggs, simply cover the surface of an egg using patterned tape. 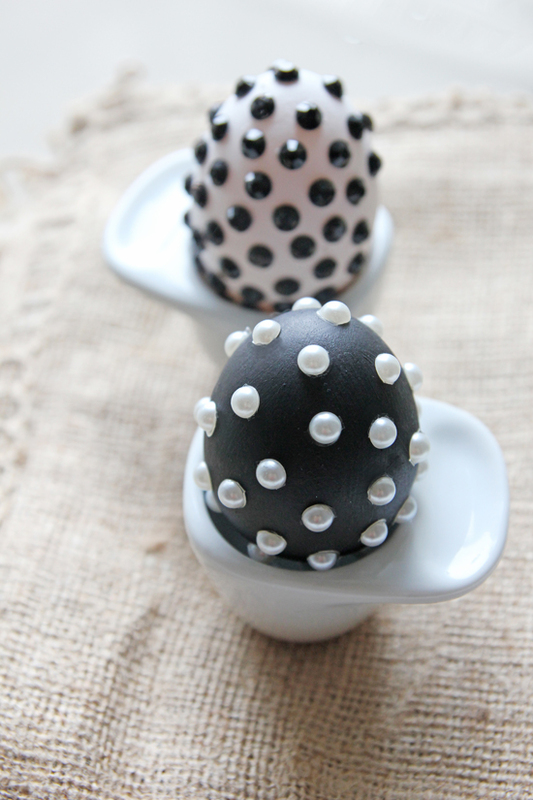 Polka Dot Easter Eggs: Paint your eggs using black and white matte paint. 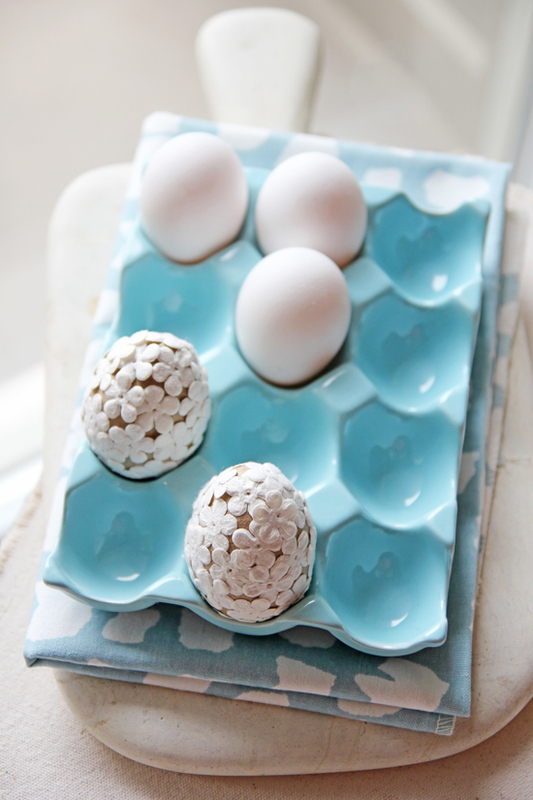 Once completely dry, add rhinestone stickers to each egg in a regular pattern. they are so beautiful:)thanks for sharing with us:) happy easter! Just me: I'm glad you like them! I like them all, so nice! These are so creative. When my son was little, he and I used to do things like this together and today he graduated with a Bachelor of Architecture. All that creative play paid off. Suzanne Perazzini: I'm sure it did! Anonymous: Thanks and yes, paper mâché would work well too! 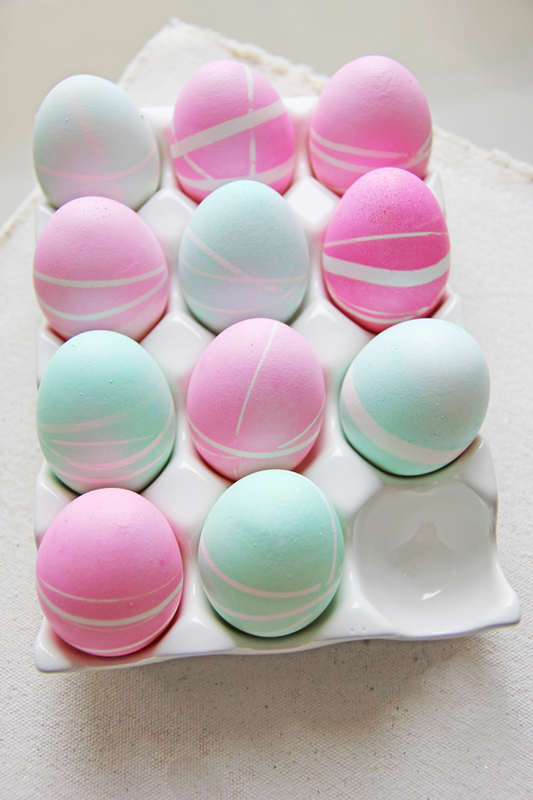 Just wanted to let you know that your lovely eggs have been featured in my Easter roundup!